After last Friday's anomaly, Fabergé Friday is now back! This time with something that is extremely rare to find - a Fabergé ring! This one was made around the year 1900! 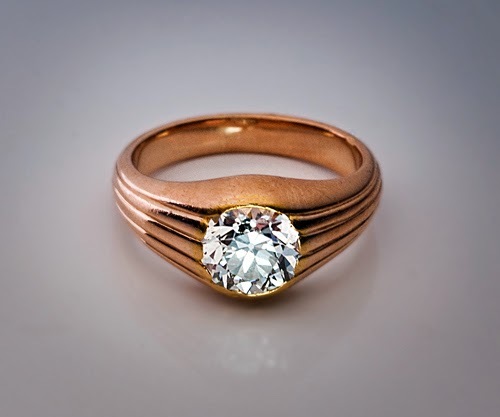 The ring - which was made for a man - is simple, yet elegant, in it's design, with a reeded pattern in 14K gold. 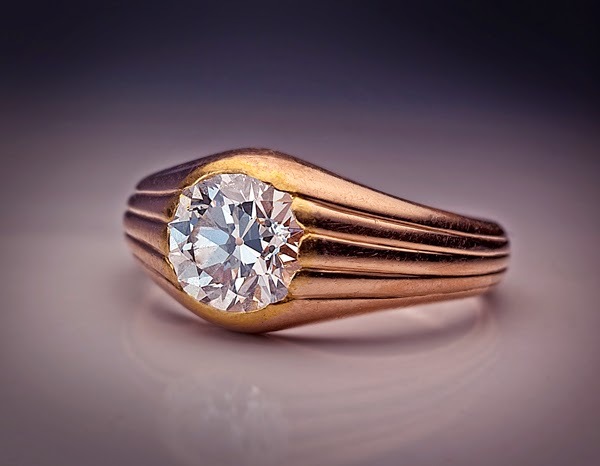 In the center sits a 1.89 ct old European cut diamond. 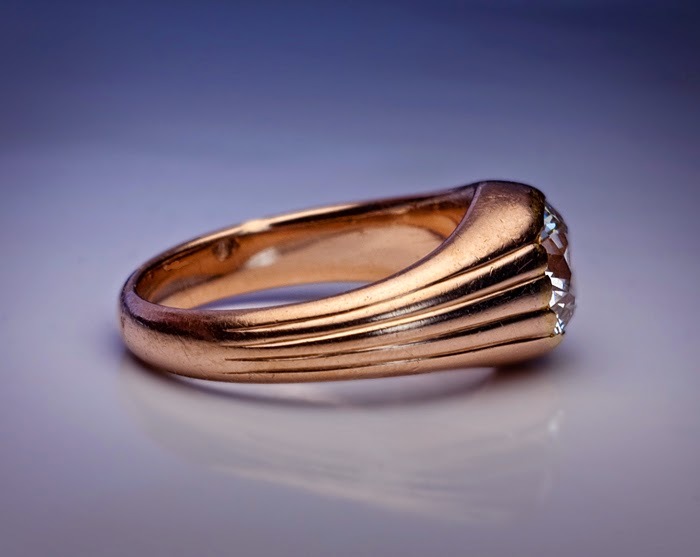 The US size of the ring is 7 3/4 (18 mm), and it's price is 26,000 USD. You find it at Romanov Russia!